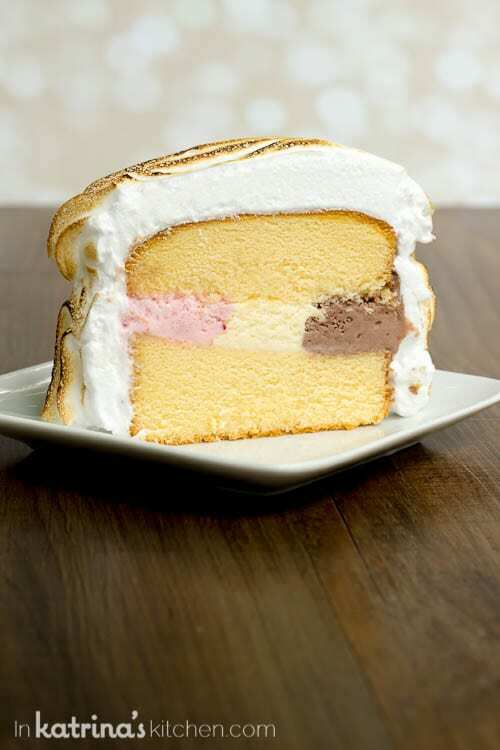 You need this Neapolitan Pound Cake Baked Alaska in your life! 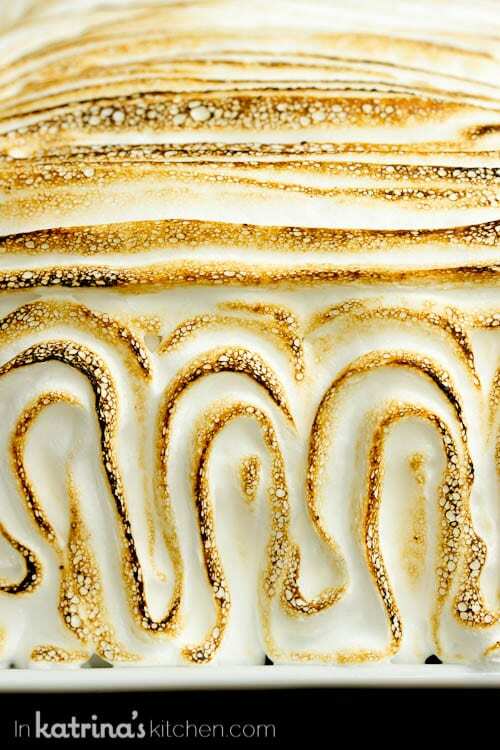 Piled high with fluffy toasted meringue. Uses a frozen pound cake and couldn’t be easier! The dining room had an “American” themed dinner planned with meatloaf, mashed potatoes, turkey, and so much more. This was the final night of our 10 day Panama Canal cruise and we were feeling so relaxed and pampered. 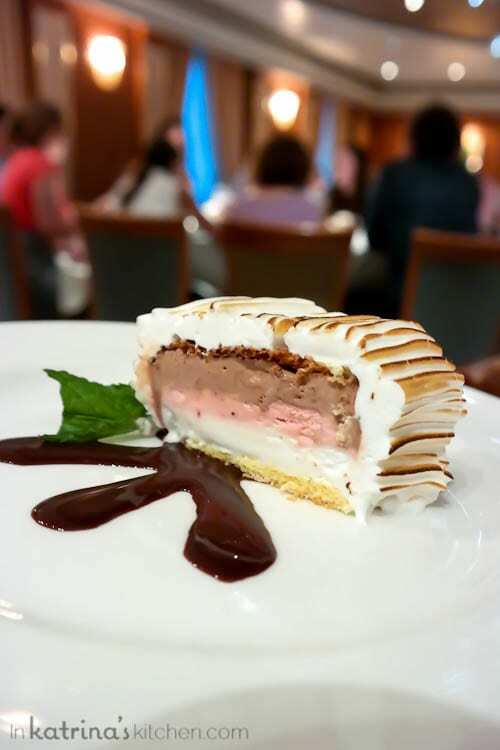 As we were enjoying our meal an announcement was made to please turn our attention to the kitchen doors, and much to our surprise and delight men and women began pouring out all of them dancing around holding Baked Alaska piled high with the most perfectly toasted fluffy meringue! It was so incredible and sweet, sweet perfection. You guys… I was too full to eat it!! Seriously too, too full from 10 days of indulging in dessert every day. Even though we took advantage of the exercise room and we booked ACTIVE excursions I just couldn’t handle one more dessert. My husband happily took my portion and I vowed to recreate an inspired recipe at home. But, ya’ll I’m really not super fancy. So enter this EASY neapolitan Pound Cake Baked Alaska recipe that uses a frozen pre-made pound cake. You know these things you find in the frozen aisle of your grocery store. Well slice that right down the middle and place your favorite ice cream flavors. 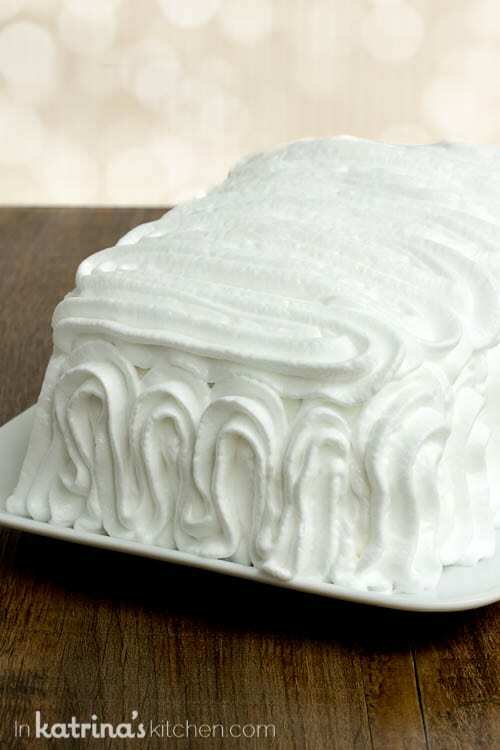 Put the top back on and place it back in the freezer while you make the meringue. This can be done days, weeks, even months ahead of time as long as you wrap it up well before freezing. When ready to serve you’re going to make some meringue. There are lots of ways to make meringue. Of course I used the easiest method, a meringue powder that you whip up with sugar and water. Seriously don’t be scared of this step! I’ll post a link to it at the bottom as well. Next you get to torch it! Glory, hallelujah! Let’s just take a moment to really appreciate that. 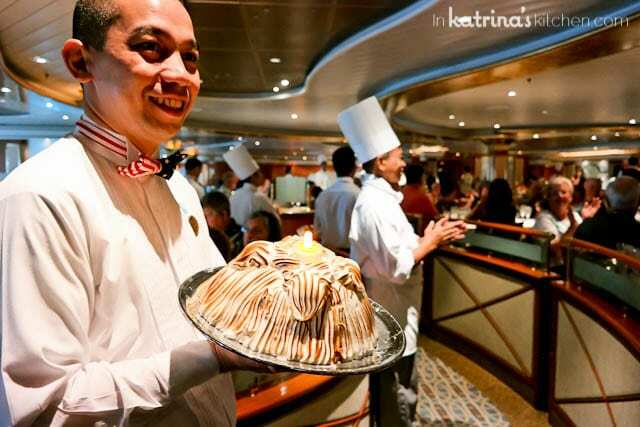 It’s like a giant, glorious marshmallow created just for you. Except it’s full of cake and ice cream so it’s the definition of literal perfection. 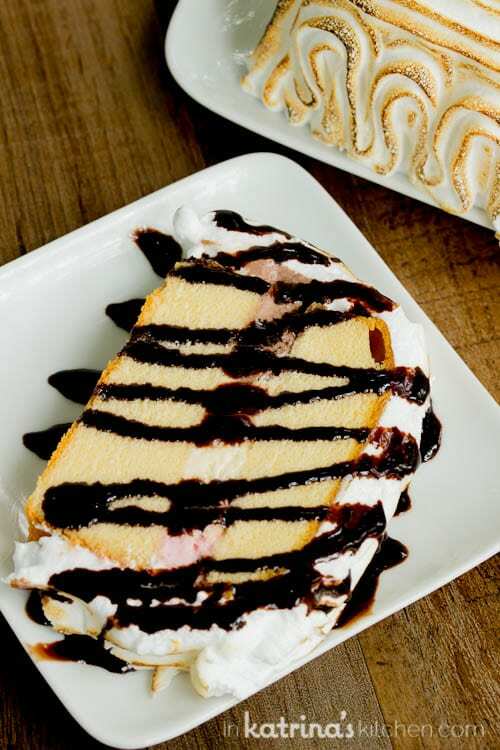 The only thing that could make it better is a chocolate drizzle, so there you go. 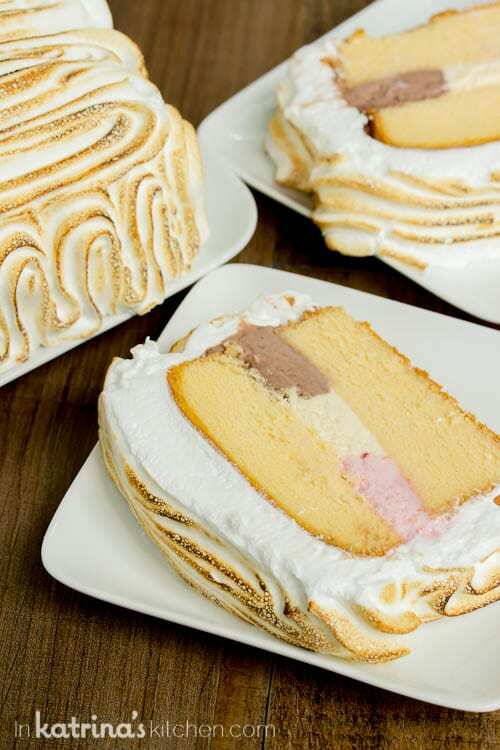 You need this Neapolitan Pound Cake Baked Alaska in your life! 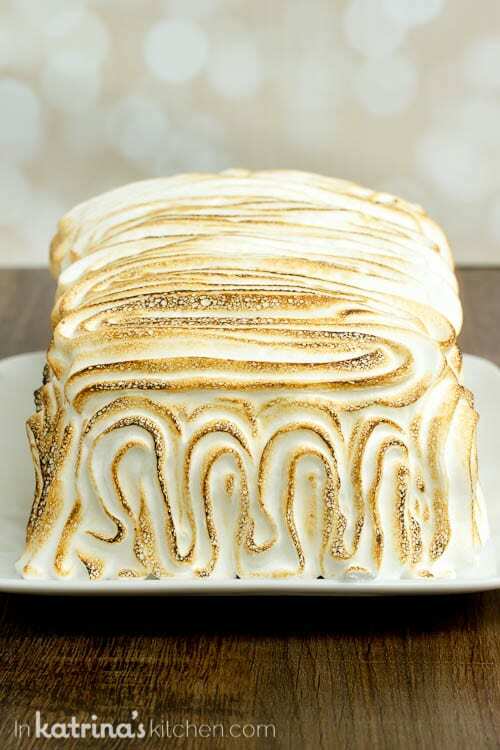 Piled high with fluffy toasted meringue. Uses a frozen pound cake and couldn't be easier! Thaw frozen pound cake 5-10 minutes in order to slice lengthwise into 2 even layers. 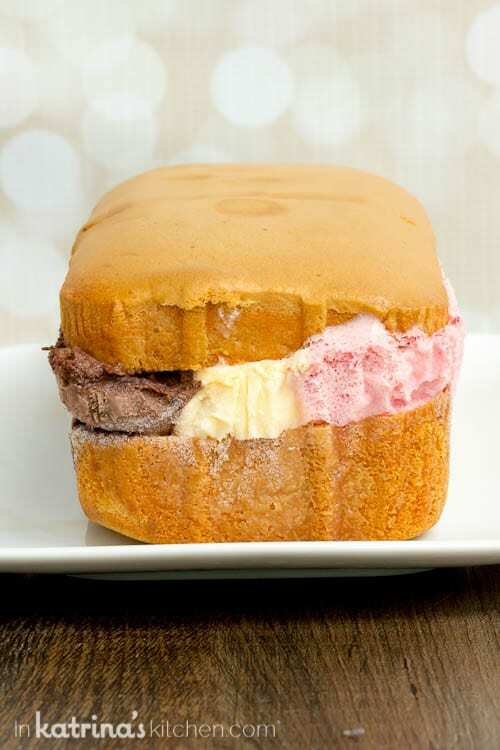 Scoop ice cream into three rows down the length of the pound cake. Top with second cake layer. Wrap in plastic wrap and place back into the tin. Place in freezer until ready to use. Make the meringue- combine meringue powder, water, and sugar in the bowl of your electric mixer fitted with the whisk attachment. Whip for 5 minutes. Add flavor extract and whip for 5 more minutes (should be stiff but still spreadable). Spread meringue all over the pound cake or put into a piping bag with a large open tip and pipe all over the pound cake. Use a small kitchen torch to toast the meringue if desired.